How To Crimp DuPont Connector Pins | Life, The Universe and ... Everything! 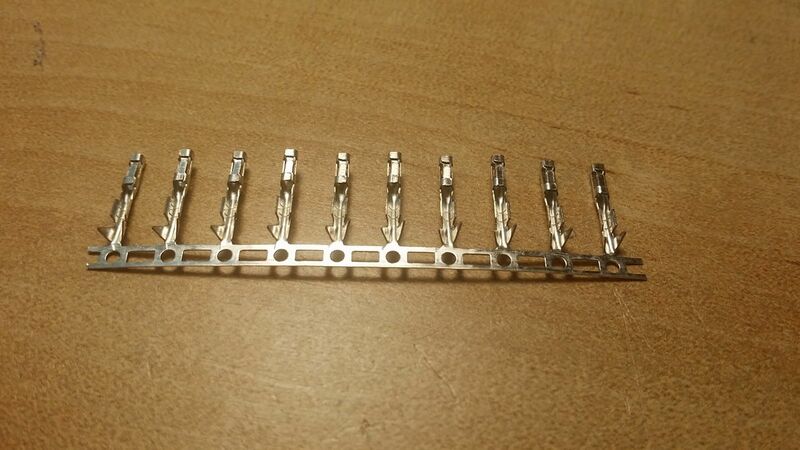 They consist of metal pins or (more commonly) sockets, that fit into a plastic casing, and are used to connect individual wires to header-pins on a PCB. You've probably seen them to connect the speaker, power supply and LEDs on your PC casing to the motherboard. Up till now, I've been attaching wires to the metal sockets by soldering and/or "crimping" them using a pair of thin-nosed pliers. 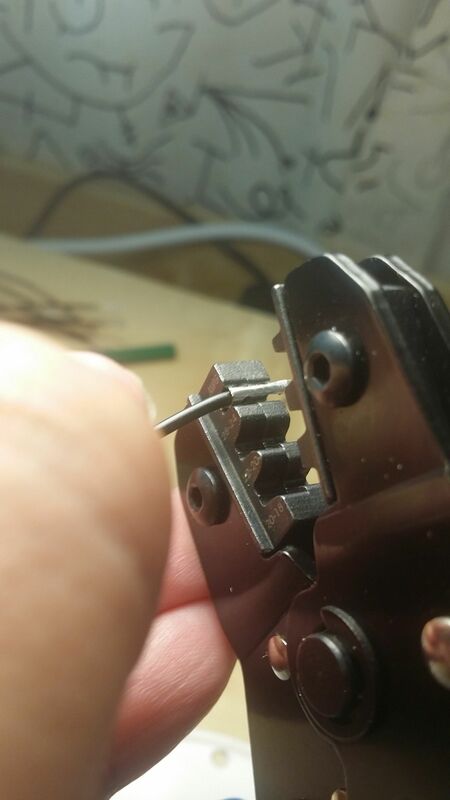 You can "kind of" secure it in this way, but often the tabs need a bit more plier work to get them square enough to fit into the plastic casing and quite often the solder blob gets in the way. Since I actually need to produce a batch (2 x 60 pieces!) of these for a project, I decided to find out how they are supposed to be done "properly". You can use cutters or just rock them back and forth till they come loose. 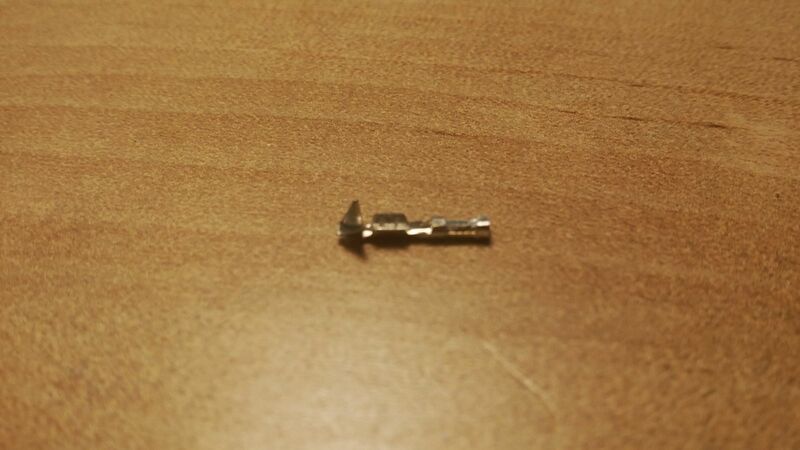 There are three "parts" to the pin or socket. The left most in the picture above, are larger metal tabs that will grip the insulator portion of the wire. The middle portion are smaller metal tabs that will grip the conductor portion of the wire. Finally the right most is the "square" section of the pin or socket that clips into the plastic case. When crimping, we only want to affect the larger and smaller metal tabs, and keep the "square" section as pristine as possible. I bought my pins, together with the plastic housing, from Standwell at Jalan Pasar. You can get the plastic housing in a number of different dimensions (e.g. 1x2, 2x5, 2x7, 2x8). Next, place the wire into the pin or socket. The insulator portion should reach far enough so that it will be covered by the larger metal tabs, and the conductor should not be too long so as to reach the "square" section of the pin or socket -- if it does it will interfere with making contact with the opposing connector. Once you have got the wire positioned just right, use a pair of pliers to squeze or slightly "fold down" the larger metal tabs. You are not actually crimping it at this stage, but rather to make sure the wire doesn't come loose from the connector. You need to do this as otherwise the next few steps will require four hands. Make sure you get it inserted the right way around as for each slot there are two different "depths" to the crimping tool -- you want the bigger metal tab in the deeper portion of the crimper. 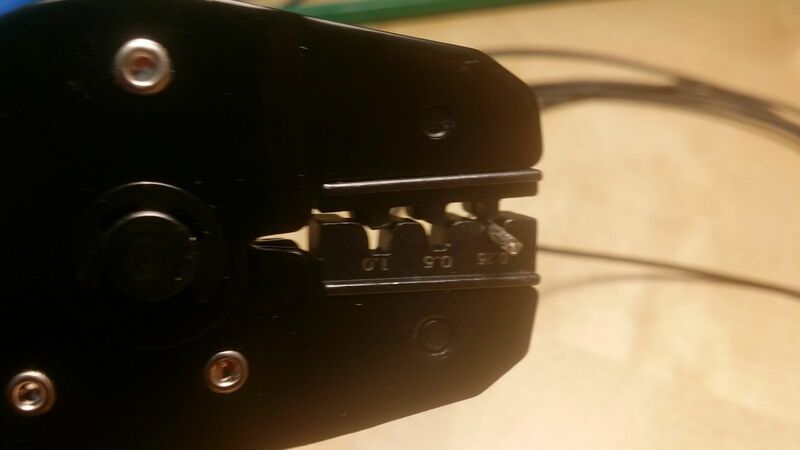 Next, gently tighten the crimping tool until it is just touching the pin or socket. Before you crimp it all the way, do one last check to make sure that the pin or socket is sitting "squarely" within the crimper. If it is not, use a pair of pliers to rotate the pin or socket until it is. Now ... press all the way. The larger metal tabs should be bent over and "bite" into the insulator portion of the wire. The smaller metal tabs should both be crimped and securing down the "conductor" portion of the wire. The "square" portion at the right most side should be as it is. Finally, push the pin or socket into the plastic housing. There is a portion of the "square" that has a little metal flap, this will make a "click" sound once the pin or socket has gone deep enough into the plastic housing, and prevent the wire from being retracted. Make sure that the larger metal tabs are totally within the plastic housing. They should not be sticking outside as it may risk a short-circuit. It's been some time since I wrote the above and I thought I'd share some experience gained. Firstly, never used single core wire. The center arms of crimping connector are supposed to bite into and partition the strands of wire. With single core, this is often a hit or miss affair. 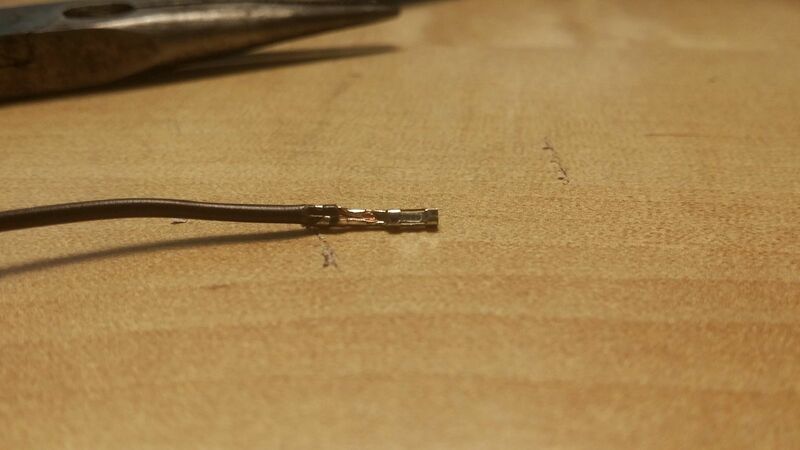 Even worse is when the stiff core is held floating around the center of the connector, as it will end up intermittently making or breaking contact with the connector. 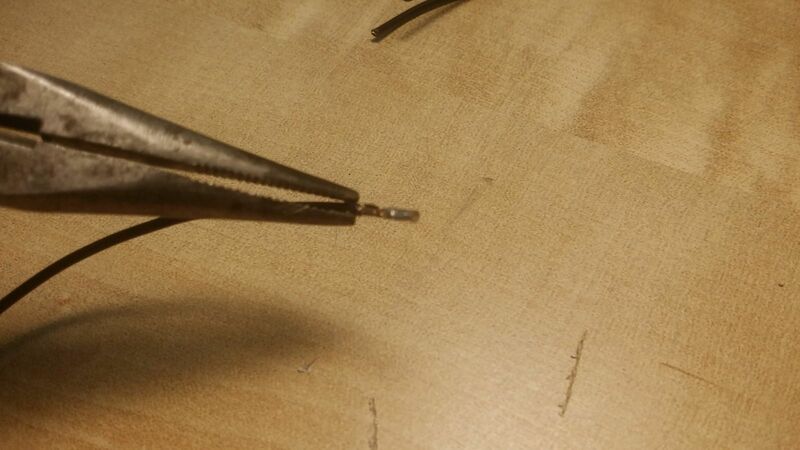 Secondly, do not solder or tin the multistrand wires. This essentially makes the multicore a single core, and you run into all the issues above, or worse. Last and probably the most important ... beware of the total thickness of your wires. Most of the wires pictured above were too big which is why I had problems. The first noticeable problem was the need to pre-bend the connector to hold the wire ... if you need to do this, your wires are probably too thick. The second way this issue manifests is when you try to poke the connector into the plastic shroud and you find yourself having to force the wire through the hole. 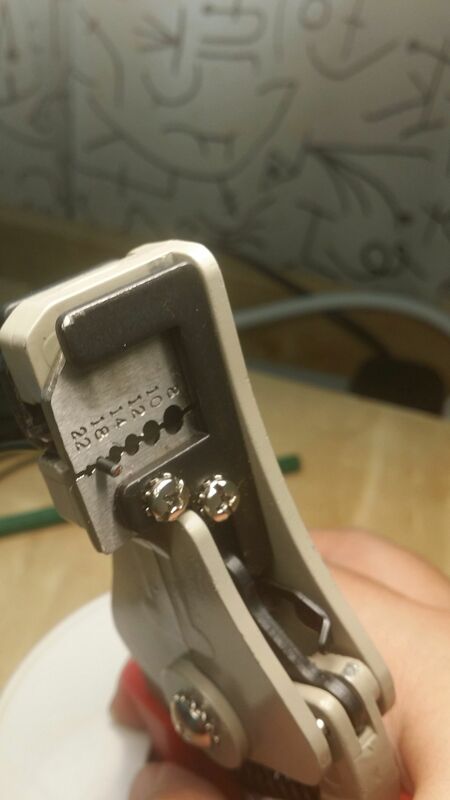 Pick up the connector with a pair of pliers, holding it by the front. The entire "crimp" end of the connector should be exposed. 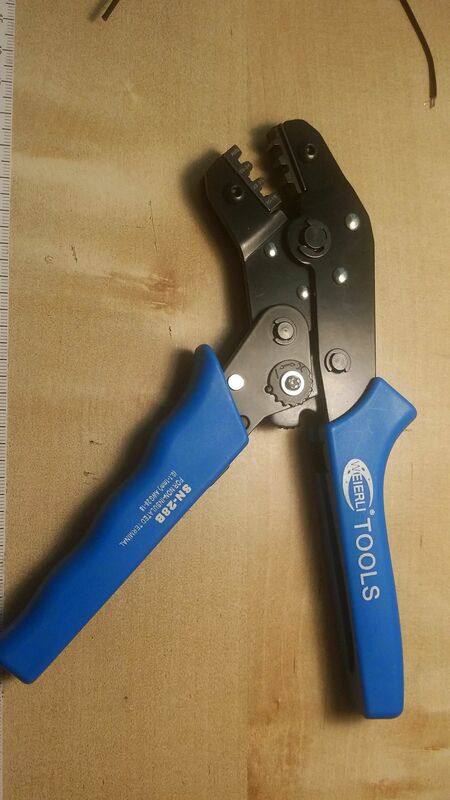 Place the connector into the tool with the "legs" facing down. Press down enough so that the connector can stay in place without slipping out, but not enough to start the crimping process. Thread your wire through the hole. Push through enough so that you've seen a sufficient amount of the insulated part go through the whole. If it won't fit, your wire is too thick. Re-check that the tabs on the connector are still facing down, and the tool is pressing squarely down on the top of the connector. Press down and crimp. With most tools you should press down until you hear the last click, and not until the tool can no longer compress. Check your work. The pin should be straight and the crimped end should be "square"-ish enough that it is in line with the rest of the connector. 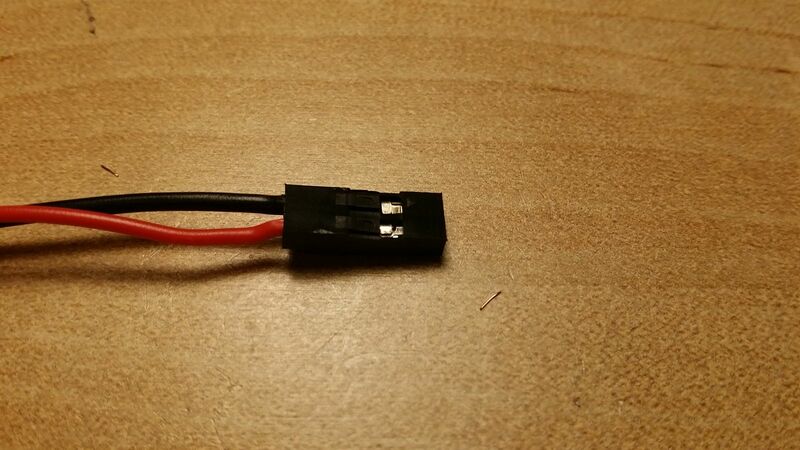 If the connector has bent (from over-crimping) you can try straightening it with pliers. If the crimped in has gone too flat (again from over-crimping) you can try squeezing it back into shape with pliers. If you think it's not going to work, do not be hesitant to grip the connector with pliers and yank it off and start over. It's much easier to recrimp a connector than it is to discover you've pushed a bad pin into the shroud and struggle to get it out. 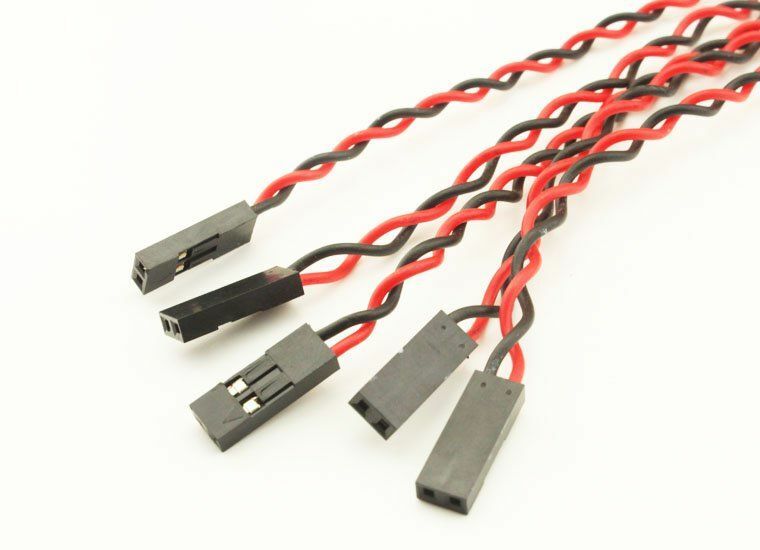 I've had the most luck crimping the individual wires on ribbon connectors -- that's about how thin your wires need to be. I think they're mostly 26AWG or 28AWG.